Use of a math writing criteria chart, or rubric can impact positively on the quality of students' math writing. Before students can produce competent work they need to have a clear vision of what ‘competent work’ looks like. The teacher’s role is to guide students in discovering the criteria for competent work at any grade level by modeling the criteria and providing exemplars for students. The specifics will vary from grade to grade depending on the concepts and skills already learned and in the process of being developed. Encourage students to refer to the criteria chart, or rubric, whenever they check or revise their work to make sure it fulfills the criteria. Model appropriate terminology in context, both verbally and visually (e.g. through questioning, math charts, a Math Word Wall, Math Vocabulary Books, sentence starters, etc.) Encourage students to consult these resources for vocabulary and spelling. Encourage discussion, debate and clarification throughout the Math Workshop. Provide opportunities for students to share ideas with partners, in small groups, and in whole-class discussions. 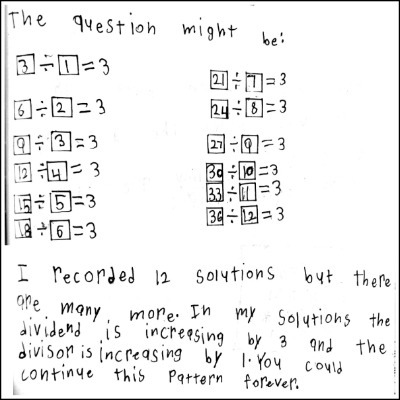 Students need to use and understand the language of math before they can use it effectively in writing. Closed Question: What is 6 x 20? Open Question: A school has 120 students. They all come to school by bus and each bus carries the same number of students. How many students might there be on each bus? How would you restate the problem in your own words? What information will you need to solve this problem? Have you solved similar problems that would help? Can you make a prediction? How can you organize the information? Can you draw a model to explain your thinking? Can you describe a strategy you can use to solve this? Do you see any patterns in your work? How do you know your solution is reasonable? How did you arrive at your answer? How can you convince me that your answer makes sense? Did you try anything that did not work? How could your explanation be made clearer? How could you use a diagram to represent this problem? Explain why your strategy works. How are ________'s and _________'s representations similar/different? How are _______'s and _______'s strategies similar/different? Which strategy is the most efficient? How could you revise your model to make it clearer? What equation/s would match this problem? Is there more than one equation that would represent this? 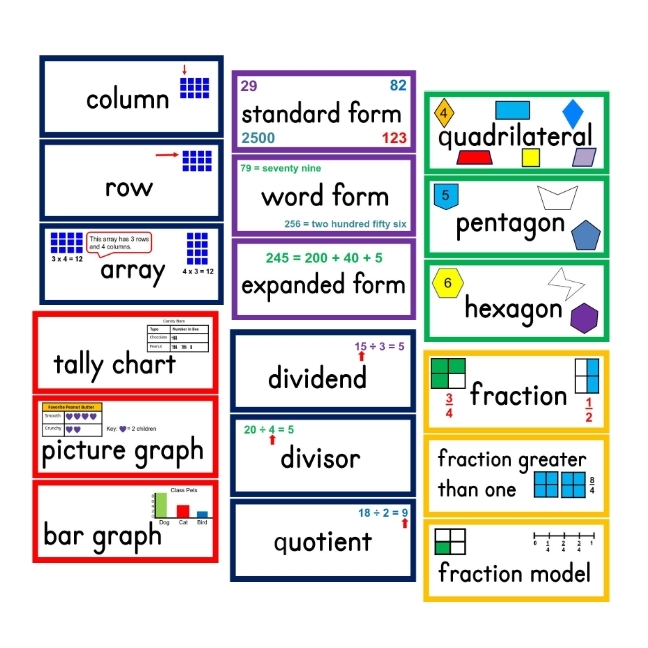 For more ideas on how to create an interactive word wall to support the development of students' math writing skills see this page.